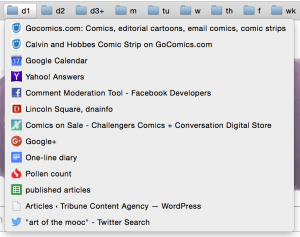 Do people still use browser bookmarks? 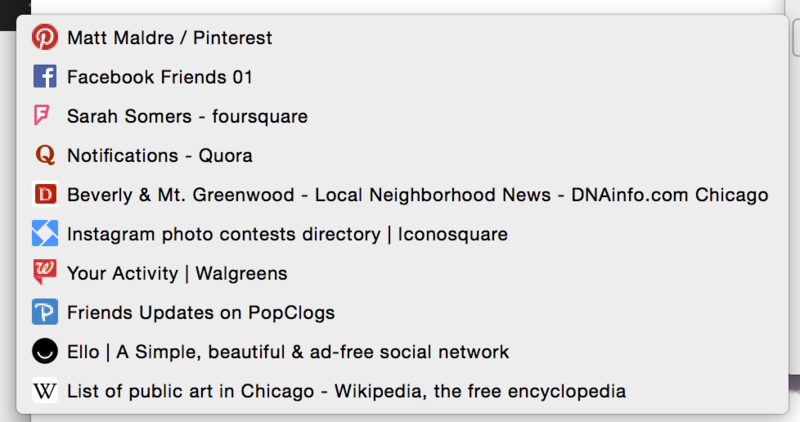 With social media, it may seem like there is no need for bookmarks. But there are several key uses. 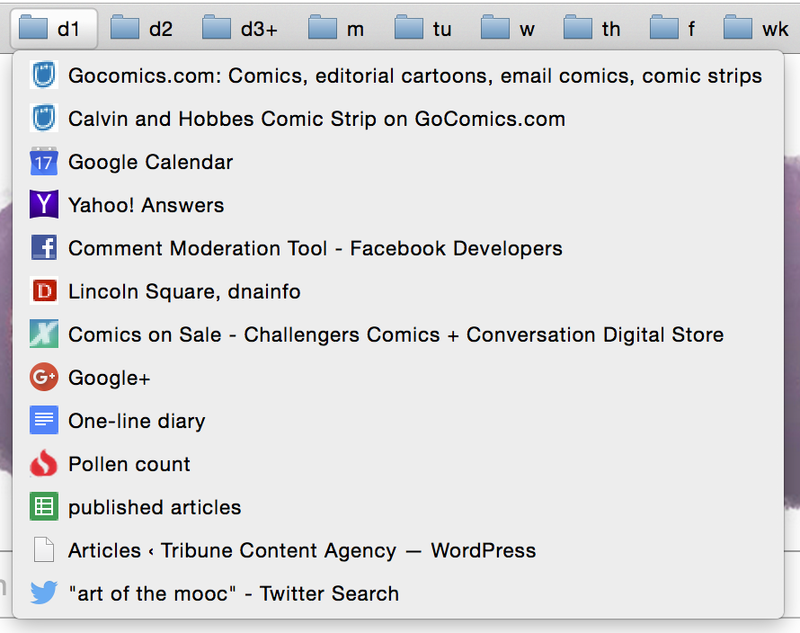 In addition to the one daily folder, I have several other daily folders, each with about ten bookmarks. (Each are labeled d1, d2, d3, d4). Depending on how much I want to explore, sometimes I’ll load all three folders, sometimes it’s just one. 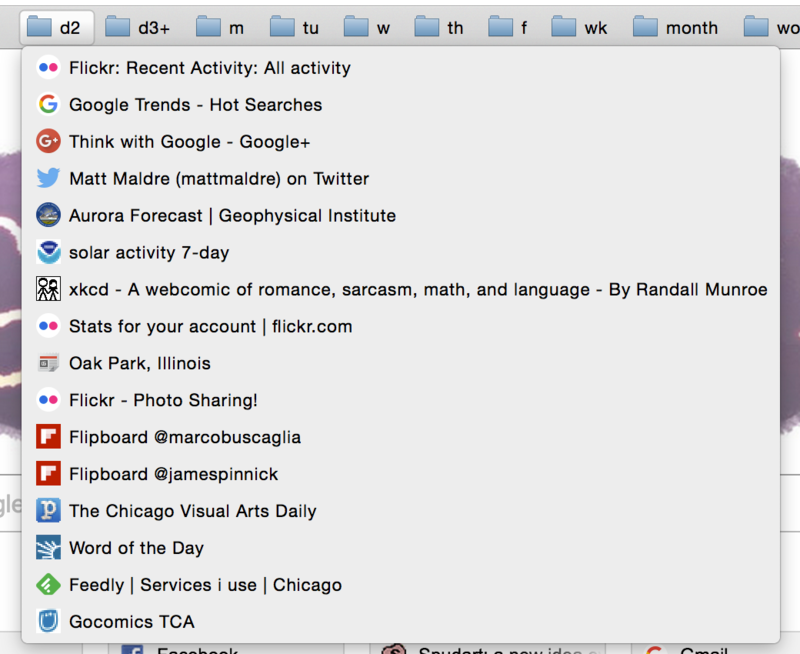 Although I don’t know if you can really count the bookmarklet as a bookmark. The bookmarklet is more of a script that takes action on the current page; it doesn’t archive the current page. 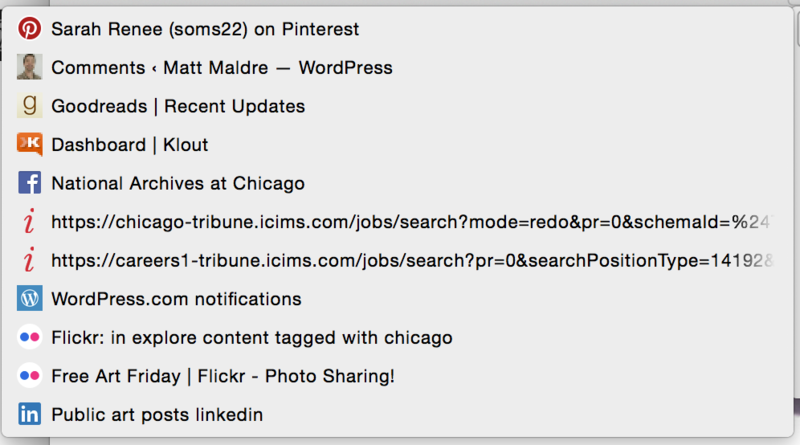 Although, in some ways the bookmarklet can archive/point-to the page–as in the case of Instapaper, Delicious, Google Plus, and Flipboard.